Interested in being part of Local Government? 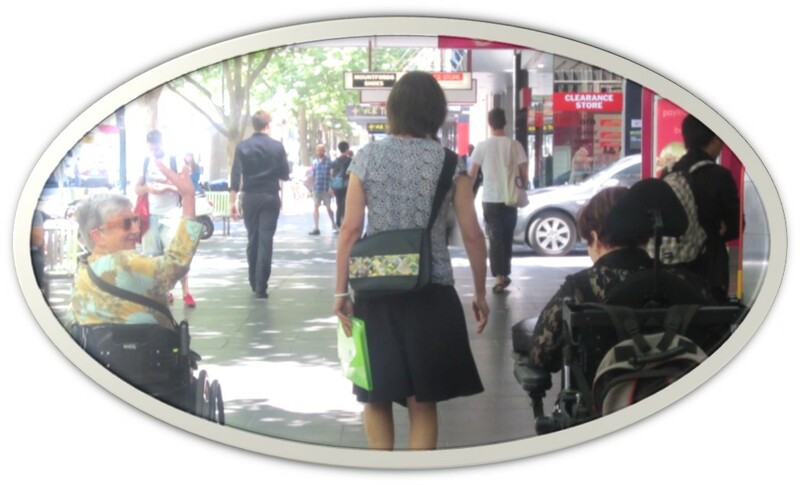 Yesterday 3 WDV representatives appeared at Victoria's Inquiry into Abuse in Disability Services. We drew on our research and shared personal experiences to explain why we need disability services who know how to listen to women with disabilities. It is important to hear what makes us feel safe and what makes us feel unsafe. It is important to hear what support we choose. So much has been achieved through Victoria's work to prevent and respond to violence against women. Victoria needs a strategy to address violence against people with disabilities. 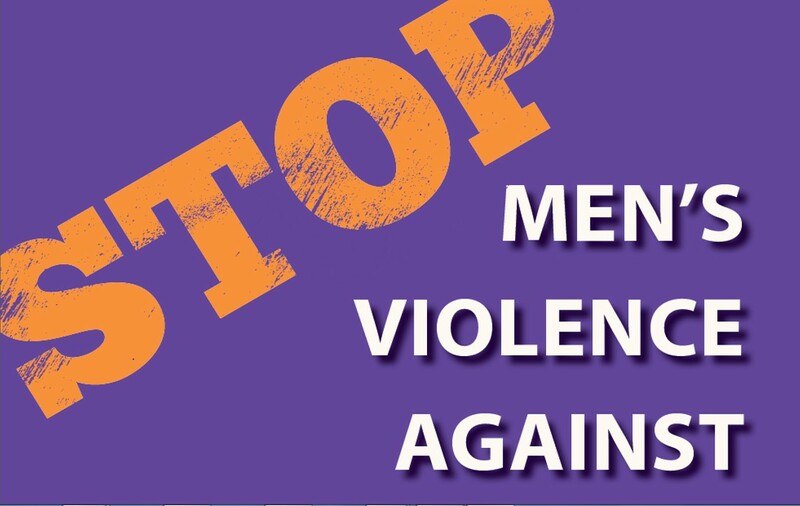 It is critical that the disability strategy is coordinated with violence against women strategies, such as recommendations from the Family Violence Royal Commission. We are hopeful that this inquiry will have lasting impact in stopping abuse in disability services. PHOTO: Keran and WDV representatives heading to present to the Parliamentary Committee Inquiry into Abuse in Disability Services. We are seeking a Gender Equity Training Coordinator (part time). Could it be you? Women with disabilities are encouraged to apply. For the position description, selection criteria and contact details visit our employment page. Sunrise women’s groups are for women with disabilities who want to feel more connected. Groups run Groups get together fortnightly in Laverton, Melton, Sunshine and Wyndham. A new Sunrise Women's Carers Group is beginning in Melton, for women who care for someone with a disability and/or mental illness. These groups are run by Women's Health West. The aim of these groups is for women to make new friends, support each other, learn about staying healthy, try new things and have fun. Check out the webpage for activities, venues are wheelchair accessible public transport nearby. Contact Lauren, the Sunrise project worker, on 9689 9588 or send her an email. The Layne Beachley Foundation ‘Aim For The Stars’ 2016 scholarship program is now open to girls and women striving to fulfill their potential in a chosen field. Grants range from $4,000 for individuals to $6,000 for teams. The closing date for scholarship applications is 13 November 2015. OPA’s 900 volunteers are from a variety of backgrounds, age groups, and communities. They work across three programs: Community Visitor Program, Independent Third Persons Program and the Community Guardianship Program. Volunteering for OPA could be right for you if you if you are seeking a challenge and want to stand up for the rights of people with disabilities. See the OPA webpage for more information. See the WIRE Events Page for details. 2016 Williamson Community Leadership Program scholarship applications for individuals with a disability are currently open, closing Wednesday 4 November. Making the transition from secondary education can be difficult for any student. Research shows that young people with disabilities often experience more difficulty in making this transition successfully often facing additional challenges because of their life experiences. Women with Disabilities Victoria saw the need to address this imbalance. We have adapted our existing Leadership program to meet the needs of female students with disabilities existing secondary school which begins the process of building a bridge between the student the school and the wider community. 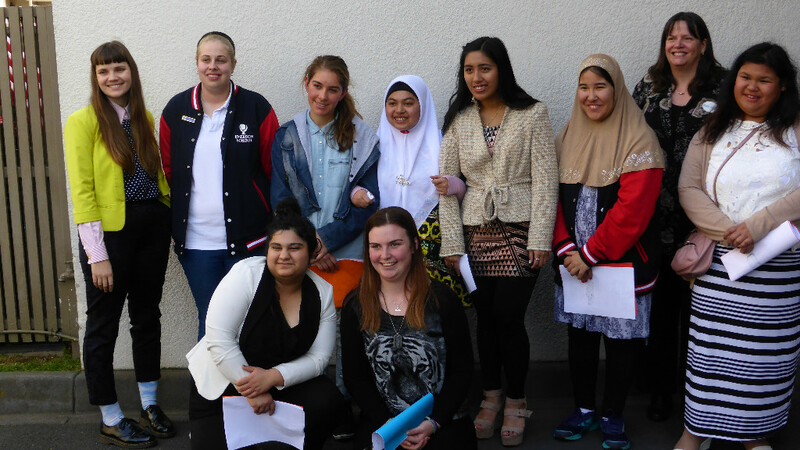 With the assistance of a young woman with a disability in the co-facilitator’s role, the Enabling Young Women course was delivered one morning per week during term 3 of the school year at the City of Greater Dandenong Council offices and SELLEN - South East Learning and Living Employment Network. A graduation ceremony was held in Noble Park with parents, siblings and friends all attending to see the girls celebrate their achievements. Go Women LG 2016 aims to support more women to get into the places where decisions are made. The campaign made progress 2012 elections, and in 2016 they aim make that work stronger. The campaign will launch resources for women candidates at an event on Thursday 19 No vember 2015 at Melbourne Town Hall 4-6pm. An important part of the event will be an opportunity to focus on diversity. If you personally know any women who might be seen as “less likely” for council but will make great candidates and councillors, or just want to learn more, bring them along! RSVPs are required for Go Women LG 2016. "Compulsory treatment can be an isolating, lonely and often frightening experience," says Helen Makregiorgos, the head of a new Independent Mental Health Advocacy service in The Age. Ms Daya is an mental health advocate who has used the service system. She told by Miki Perkins of The Age, "The service that was supposed to be there to help me was recreating my worst horrors. It breaks my heart." Ms Daya says having her own advocate would have helped her clarify her options around treatment, particularly medication." Advocates based in Melbourne, Bendigo and Geelong will provide a free visiting service to hospitals and clinics throughout the state. The service is the first of its kind in Australia, and is run by Victoria Legal Aid. For advice on legal matters related to Family Law or Family Violence there are two help lines which are good to know. Are you aged 18 or over and currently live in Melbourne? Have you ever experienced street harassment in Melbourne? Would you like to share your views on how street harassment could be responded to? Take part in the ‘Shouting back: street harassment & justice’ survey. People with disabilities of all genders and sexual orientations are welcome to take part in this study. Around Victoria there are many ways to be involved in the Month of Action. If you live in Barwon it's worth seeing the huge choice of activities happening there for the Barwon Month of action. While in their program, Dandenong is running an interfaith workshop on Public Violence Against Women In The Community - speakers include Susan Carland (Australian Muslim of the Year 2004), Crystal Bruton (woman with a disability), Helen Bnads (Aboriginal/Indigenous) and Deputy Police Commissioner Wendy Steendam (Victoria Police). IMAGE: Barwon's month of activism logo. You are cordially invited to attend the Gippsland Women’s Health Inc. Annual General Meeting which is to be held on Thursday 5th November at Traralgon Vineyard. 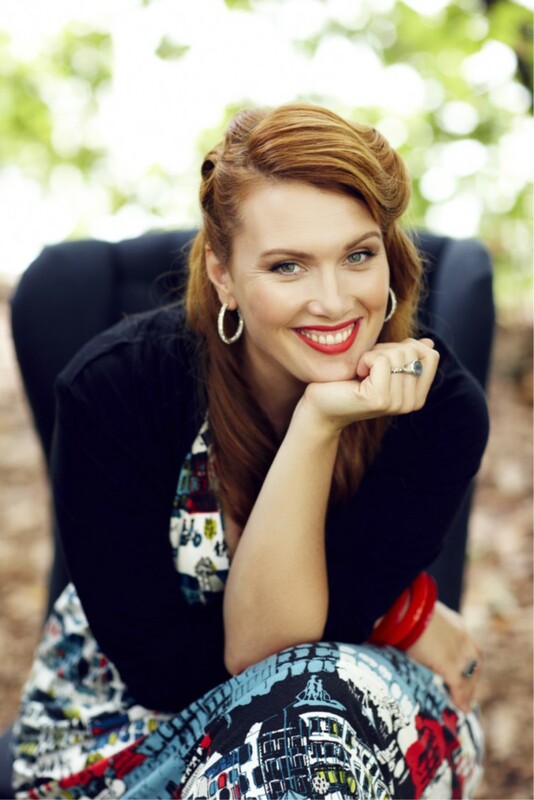 Clare Bowditch will be the guest speaker this year. To register please visit Eventbrite.